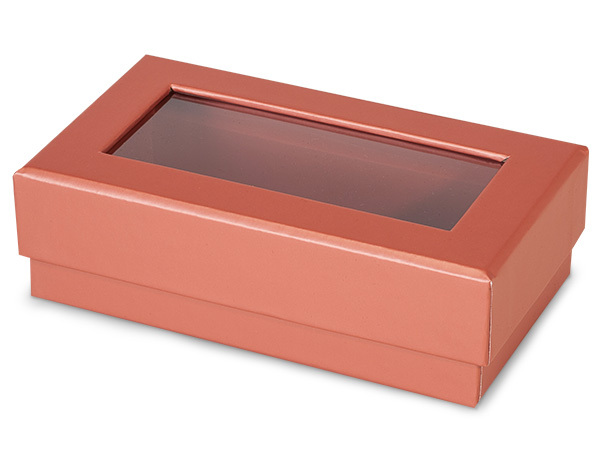 These small rectangle, metallic rose gold 2 piece candy gift boxes are sold in bulk. These rigid boxes with windows are the perfect packaging for candy, cookies or other gourmet food. Rose gold is a beautiful pink for feminine gifts. Inside dimensions of the box are: 5" L x 2.75" W x 1.5" H.